excellent service. batteries not stock when I ordered but was kept informed when they would be in and date for delivery to me. I used them yesterday for the first time on my golf buggy. thank you very much for your service. Excellent service and product. I was kept informed with progress right from the start and the battery arrived within the hour allocated. I would recommend this company. Excellent service and good quality product. Delivery to my products was fast even ordered them outside England. I recomend this company. Very good service,very good price,delivery very good,only used battery twice,so far no problems, Ordered over telephone if I spoke to Joe Lewis he also very polite. Easy to fit, all parts supplied, delivered next day (on a Saturday) which was excellent as it meant that I wouldn't be without my scooter, which I depend on to get about. Well packaged, 2 boxes used with padding for protection & strength, so the boxes were strong & secure when you lifted them. (Which was needed because these batteries are heavy). All around I was really impressed by the quality & service provided, thank you Tayna! 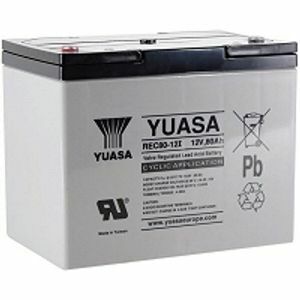 I was a bit dubious about the 80ah as I am portly and my golf buggy and bag weigh quite a lot, however the batteries have powered me around for four complete rounds of golf with minimal discharge, will recommend these to my friends who also have golf buggys. I have only used my golf buggy twice since fitting your batteries and so far they have taken me around my golf course without difficulty.